USA – When Lafayette, Indiana’s First Assembly Community Ministries officially rebranded itself as River City Church earlier this year, the name change was accompanied by several other updates, including the segue to a more contemporary, production-oriented worship style. 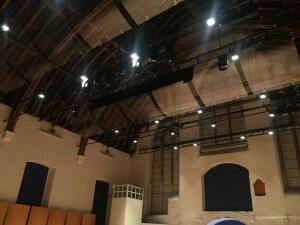 As part of that transition, River City’s sanctuary required a more modern sound system, a need that CCI Solutions was nicely able to fill with a new L-Acoustics ARCS WiFo (ARCS Wide and ARCS Focus) system. 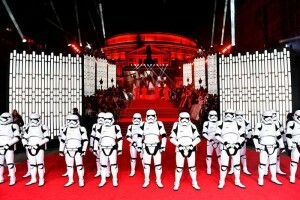 UK – The Royal Albert Hall rolled out the red carpet for the European premiere of Star Wars: The Last Jedi, and Green Hippo technology was there in force. UK creative Digital Insanity provided content creation and playback solutions for the premiere of the latest in the Star Wars franchise, and the team again relied on Green Hippo to help it create a spectacular. 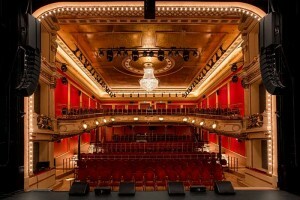 Sweden - When a major Swedish theatre closed, following the sale of all the property around it, it took a very innovative solution to ensure that it could reopen. To complement the brilliance of the rebuilt venue’s design, an equally brilliant audio system was needed. Alcons was the obvious choice. 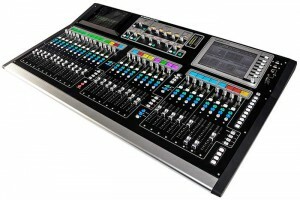 Allen & Heath has announced the latest firmware update for its GLD digital mixer range, adding a sought-after FX unit as well as presets for popular microphones. UK – At this year’s Annual Lighting Lunch, which took place in London on Monday, 18th December, the Association of Lighting Designers (ALD) announced that 2018 would herald the first full-year Lumière Scheme, which will run in continued partnership with Chichester Festival Theatre. UK – They say you reap what you sow, and this more than a fair analogy when considering the intern and apprenticeship programme that sits at the core of Pearce Hire’s award-winning production services. USA – The 2018 NAMM Show, running 25th-28th January in Anaheim, CA, has amped up its focus on live sound and event technologies for 2018. In addition to being first-time exhibitors (Booth 17305), Adamson Systems Engineering will lead a training session as part of the inaugural AES@NAMM educational programme. Brazil – Developed and published by Riot Games, ‘League of Legends’ has become one of the world’s most popular third-person multiplayer online battle arena games, attracting more than 100 million active players each month. 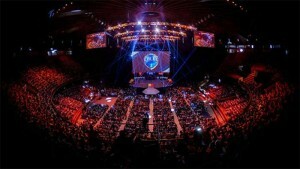 This year the Brazilian finals took place l on 2nd September at the Mineirinho Arena to a live audience of approximately 8,000 and was also broadcast live on ESPN in Brazil. 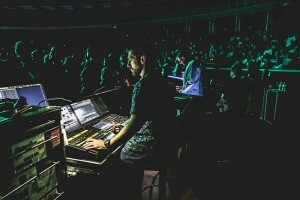 Audio supplier Gabisom were there to ensure the gamers aural experience would match the intensity of the final battles taking place, trusting DiGiCo as their weapon of choice. 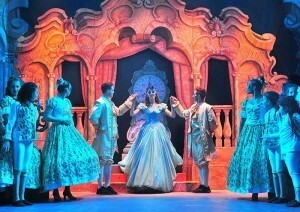 UK – Just like the fairy-tale glass slipper that glided effortlessly onto Cinderella’s foot uniting her and Prince Charming, lighting designer Andy Webb has designed a beautifully colourful and fitting lighting scheme for “Cinderella”, this season’s pantomime at Blackpool's famous Grand Theatre, utilising entirely Robe LED products. USA – In a city known for serving up great sights, few settings offer vistas quiet as memorable as the SkyDeck at Lacuna Lofts. 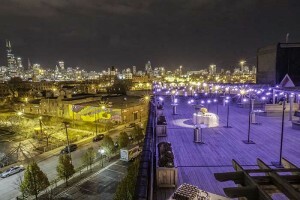 Although it sits only five storeys above the ground atop a 120-year-old former macaroni factory in the hip Pilsen Art District, the deck towers over its south side surroundings, thus providing visitors with a unique vantage point from which to enjoy a clear, unobstructed view of the city’s famed skyline across the Chicago River. Long known for its versatile professional media players for the professional integrator and pro audio markets, TASCAM has introduced its CD-400U media player. Combining a slot-loading CD player, AM/FM tuner, stereo SD recorder, and Bluetooth wireless and USB connectivity, the CD-400U offers audio playback in real time or from reliable fixed media. The unit also can record from CD or the AM/FM source to CD or to USB media. 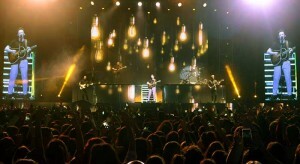 Serbia – Philips Lighting has announced that its newest stage lighting fixtures have helped to deliver a magical environment for the recent concert at Belgrade's Sava Center by leading Bosnian folk music artist, Bozo Vrećo. 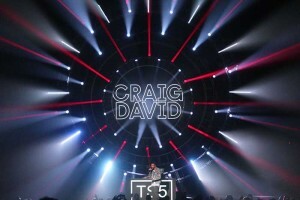 UK – When recording artist Craig David brought his renowned TS5 gig to Brixton O2 Academy in November, he called once again on long-standing collaborator Stephen Abbiss to add his own creative touch to the accompanying lighting and set design. 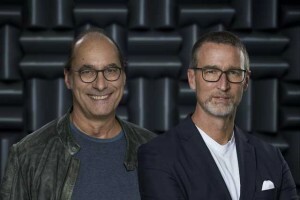 Germany – After 31 years with d&b, Kay Lange, chief financial officer of d&b audiotechnik, is handing over his role to the next generation. Lange had already made this decision in 2016, in agreement with investors and the management team, to spend more time with family and pursue life-long dreams, but planned to only do so once a successor was found. On 1st December 2017, Jens Nilsson was appointed chief financial officer and managing director, becoming the third general manager of d&b audiotechnik, working alongside Amnon Harman (chief executive officer) and Markus Strohmeier (chief operations officer). 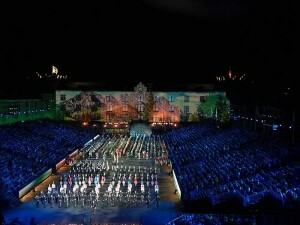 Switzerland – As Switzerland’s Basel Tattoo celebrated its 12th anniversary this year, it also marked the 12th time that the production has used TiMax object-based spatial audio and show control to maintain localisation and musical timing between the marching players and the distributed spatial reinforcement sound system. UK – Audiotonix has announced the acquisition of Solid State Logic (SSL) as part of its expanding group that already includes leading audio brands DiGiCo, DiGiGrid, Calrec and Allen & Heath. 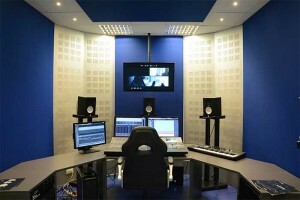 The deal, which was concluded on 20th December brings together the top flight of the world’s mixing consoles companies. Canada - Canada celebrated the 150th anniversary of its founding on 1st July, 2017. 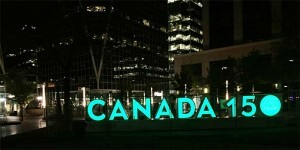 To mark this historic event, several illuminated, 3D “CANADA 150” installations were on display in each Provincial Capital and major city across the land. From Victoria, British Columbia to St. John’s, Newfoundland and from breathtaking Niagara Falls to the Nation’s Capital, Ottawa – the 36ft long by 6ft high CANADA 150 signs are a part of every Canadian’s sesquicentennial celebration. USA - LITEC has announced that its MyT Folding Steroid Roof System received the 2017 “Best New Truss” gold star award from PLSN magazine (Projection, Lights & Staging News) in the United States. 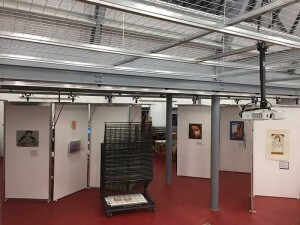 The winning of this award is further confirmation that the MyT Folding Steroid truss design is not only what their customers require, but also what industry professionals appreciate. The award was presented to LITEC on 16th November at the LDI exhibition in Las Vegas. 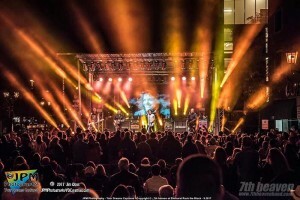 USA – World-renowned lighting consultant Howard M. Brandston and artist Dan George created an important light installation in the City of Syracuse featuring SGM’s i-2 White IP66-rated POI lights. 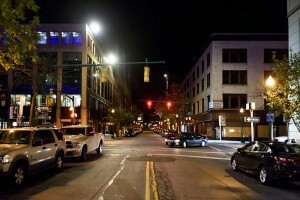 The permanent installation, part of the larger “Connective Corridor” project, was initiated to illuminate iconic buildings and public spaces between Columbus Circle and Armory Square. 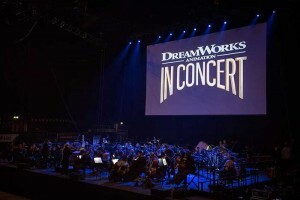 UK – Adlib supplied full production (sound, lighting, rigging and large format video projection) for a special one-off event at the SSE Wembley Arena in London, ‘DreamWorks Animation in Concert’ which was presented by DreamWorks Animation, CineConcerts, and The MJR Group. It featured music and many memorable moments from DreamWorks Animation’s numerous hit films like Shrek, Kung Fu Panda, How to Train Your Dragon and more with music performed live by The Royal Philharmonic Concert Orchestra. Germany – They were the rock idols of the Munich ‘Schickeria’, and in the '80s and '90s were Bavaria’s hottest rock exports throughout the whole of Europe, 'they' being Barny Murphy, Günther Sigl and the Spider Murphy Gang. 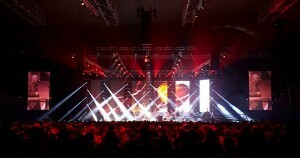 Their recent 40th anniversary concert showed they had lost none of their fire, and Marc Lorenz from CUE Design provided the perfect light show at the Olympiahalle. Italy - One of the world’s most celebrated composers and conductors, Ennio Morricone has written over 500 film and television scores, over a career that spans seven decades. 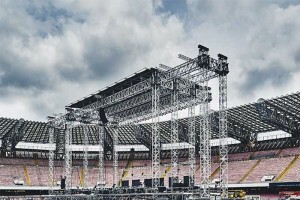 The only film composer ever to have received the honorary Academy Award for lifetime achievement, the Maestro embarked on his 60 Years of Music world tour this year, with an L-Acoustics audio system designed by Scott Willsallen of Auditoria Pty and supplied by Italian rental company, Agorà. Latvian creative company, Company NA, relied on Hippotizer Media Servers to deliver the inaugural event for professional choirs. Latvia – The first Eurovision Choir of the Year contest took place in Riga, Latvia. Organised by the European Broadcasting Union (EBU) and the Interkultur Foundation, the inaugural event hosted nine professional choirs, each one representing a different European country. The venue was the Arena Riga, a 14,500-capacity stadium, and Green Hippo technology was on hand to help deliver a live spectacular, in keeping of the EBU’s best known production, the Eurovision Song Contest. Belgium – De Bijloke is a site in the Belgian city of Ghent. As far back as the 13th century, a hospital was founded there, after which an Abbey was raised, before further buildings were added across the centuries. The site now plays host to a number of cultural institutions including the Ghent City Museum, De Bijloke Ghent Music Centre, the Royal Academy of Fine Arts and the Ghent Conservatory College. Now a protected site with monument status applied to many of its elements, De Bijloke is a vibrant cultural centre, whose historic buildings are still in daily use. The Music Centre at De Bijloke is located at the ancient hospital building, which has been carefully restored. Some modern facilities have been added in the form of galleries, rehearsal rooms, offices and a lobby but the main concert hall lies within the original 700 year old construction and seats 960 audience members, primarily but not exclusively, for classical concerts and recitals. 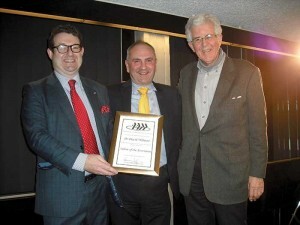 UK - This year the Association of British Theatre Technicians honoured Dr David Wilmore by bestowing on him an ABTT Fellowship. Dr Wilmore is a leading consultant for historic theatres and the only person in the UK to hold a PhD in 18th & 19th century Stage Machinery. Worldwide – One of indie pop’s most exciting young bands, Sylvan Esso, is making waves on both sides of the Atlantic, having played top venues across North America this summer, including the Fox Theatre in Oakland, the Hollywood Palladium, Brooklyn Steel New York and Prospect Park, before completing a European tour in support of their second album, What Now in the autumn. 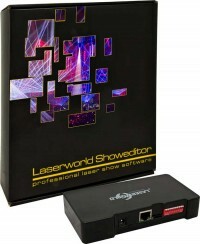 Laserworld released the latest version of the Laserworld Showeditor professional laser control software in Version 6. Several new features have been added and many other improvements have been made. USA – While the weather may have been frightful, fans and artists still turned out to give back at Warren Haynes Annual Christmas Jam. 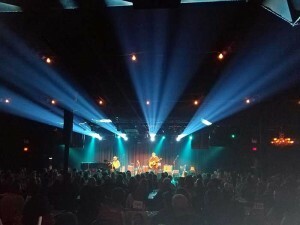 Bandit Lites was honoured to donate a lighting package for the sold-out benefit for Habitat for Humanity where the line-up included Trey Anastasio and Classic Tab, The Avett Brothers, Blackberry Smoke, and Gov’t Mule with a special appearance by Ann Wilson of Heart. UK – The Swedish electro four-piece band Little Dragon has been on a quite a roll in 2017, as their heavy ethereal beats and synth-driven hooks have garnered them a following on both sides of the Atlantic, as well as slots at the Coachella and Bestival festivals. 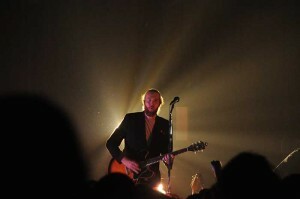 Reflective of the band’s stratospheric surge in popularity is the new power-packed lighting rig on its current sold-out UK tour. 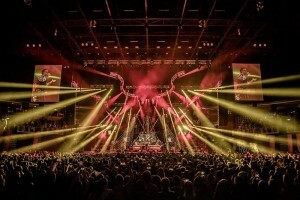 LD Tim Smith, who recently began collaborating with the band, specified Maverick MK Pyxis fixtures, as well as COLORdash Par-Hex 12 units, from Chauvet Professional for their current touring rig. Singapore – Founded in 1984, the award-winning Lasalle College of the Arts in Singapore is a stunning example of modernity and creativity dedicated to providing its students with top class education in contemporary arts and design. 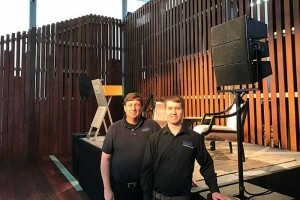 Australia – Melbourne-based audio specialist, Full Throttle Entertainment, has invested in a Vero sound system from Funktion-One. 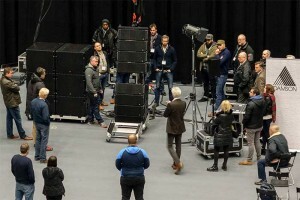 According to company founder, Adam Ward, the addition of the vertically arrayed loudspeaker system equips them to do bigger shows and answers the requirements of a wider range of clients. UK – Leading provider of audio-visual equipment, Audiologic has announced the appointment of Ben Spurgeon to the post of application support engineer. 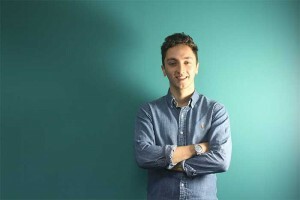 Ben, who holds a first-class BSc honours degree in Audio Recording and Production from the University of Hertfordshire, joins the company from Sound Technology and will be working alongside existing engineer Yavor 'Max' Yanakiev to strengthen the team in response to rising demand for in-house and on-site support from its growing customer base. 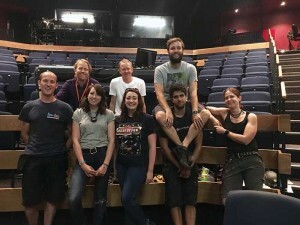 UK – Rugby Theatre in Warwickshire is an amateur company which produces ten shows annually to highly professional standards, providing live entertainment almost 50 weeks of the year as well as screening the latest films. 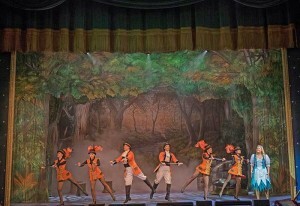 Staffed and run entirely by volunteers, their own productions include drama, farce, musicals and theatrical classics while visiting performers and productions feature brass bands, children’s dance, opera and celebrity speakers. UK – In venues the length and breadth of the UK, Christmas concerts and the grand tradition of pantomime are getting thousands of people into the festive spirit. Yamaha mixing consoles are at the heart of many, with no less than six hard at work in Perth, Scotland. The Netherlands – The Smart Building conference at ISE features some of the leading names working in smart homes, offices, buildings and cities. 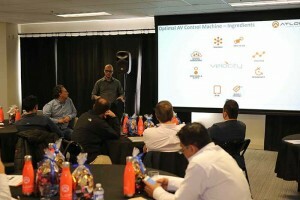 The one-day summit features 25 experts and thought leaders including Ger Baron CTO, City of Amsterdam, Phil Zito founder Building Automation Monthly and Cees Links, GM of Qorvo, Inc. Attendees will also get an opportunity to experience leading smart building vendors using their latest products and solutions at the event, including KNX, ANIXTER, Spinetix, biamp, HDL, irdeto, lumenradio and SwitchBee. 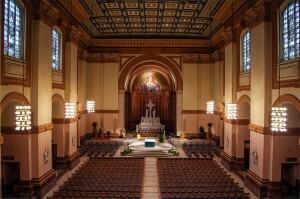 USA – Creative design by IMEG Corp. (formerly KJWW Engineering) solved long-standing acoustical and clarity issues at Saints Peter and Paul Cathedral in Indianapolis, Indiana. 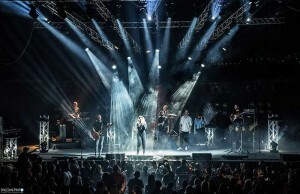 Israel - Israeli singer songwriter Elai Botner & Yaledi Haucutz completed an extensive seven month tour of Israel with some very cool lighting created by Mickey Vilensky, who chose an all-Robe moving light rig. 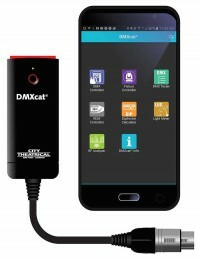 City Theatrical’s DMXcat multi-function test tool is now available in seven languages: Spanish, French, German, Italian, Korean, Japanese and English. DMXcat was translated in partnership with multilingual lighting professionals to ensure that technical and industry terms were captured appropriately in every offered language. Based on the user’s smartphone language settings, the suite of mobile applications will automatically update its written content to Spanish, French, German, Italian, Korean, Japanese, or English if the others are not selected. Translations are now live for iPhone, Android, and Amazon Fire. Worldwide – Katy Perry recently kicked off “Witness: The Tour” in support of her eponymous fifth album, her third number-one album on the US Billboard 200. 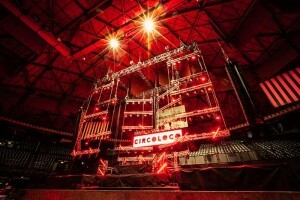 Claypaky Scenius Unicos and Scenius Profiles are prominent in the tour’s lighting rig having been selected by the show’s producer and lighting designer, Baz Halpin of Silent House. 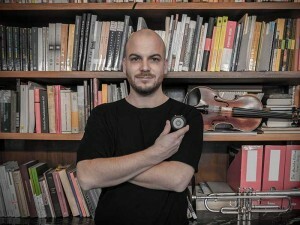 Germany – DPA’s new pocket-sized d:vice MMA-A digital audio interface is helping to free renowned musician Nikolai Tunkowitsch (pictured) from the confines of the recording studio by allowing him to record demos and capture musical ideas on his iPhone. 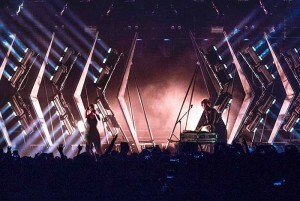 USA – When 2018 GRAMMY-nominated electronic duo Odesza recently performed at the 4,500-seat Santa Barbara Bowl on its current A Moment Apart tour, fans were treated to a spectacularly unique audio experience unlike anything else previously experienced in North America. That’s because the sound system provided by Clearwing Productions for the show was not the conventional left-right configuration of L-Acoustics K1/K2 deployed on the rest of the band’s tour dates, but rather the first North American deployment of L-Acoustics’ L-ISA Live system. 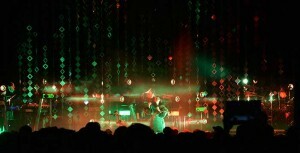 This performance also represented the first global use of the groundbreaking new immersive audio system on a major electronic act. 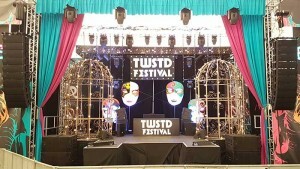 UK - Leading Northampton-based full service production company, Stage Right Productions, has recently extended its already considerable dBTechnologies inventory with the addition of the VIO two-way line array system from dBTech’s UK distributor, CUK Audio. 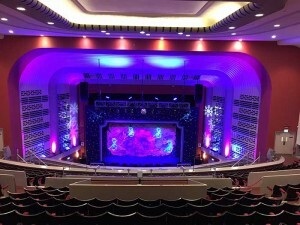 Part of the system is already deployed in the beautiful 900-seat Deco theatre in Northampton for the annual star-studded pantomime. This year’s production of Peter Pan features Coronation Street’s Nick Cochrane as Smee, The Voice finalist Lydia Lucy as Wendy, Grange Hill’s Colin Ridgewell as Captain Hook, West End actor Chris Wills as Peter Pan, and Northampton’s own Naomi Wilkins as Tiger Lily. 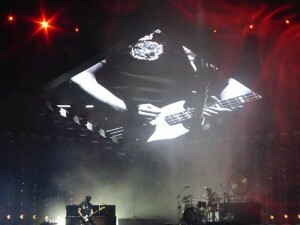 UK – Like an ace of diamonds, a neatly rigged square of 12mm LED screen floats sharp and angular, a minimalist piece of visual architecture reflecting the binary talents that make Royal Blood such an exciting and potent musical force. 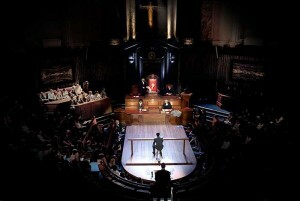 Sam O’Riordan’s design speaks volumes of his confidant transition into arena scale presentation. USA – Metal music, black tees, devil horns, and . . . VIP lounge packages? Things have really changed since Woodstock! 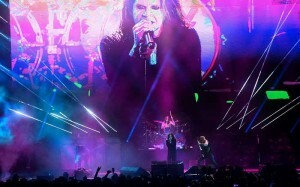 Last month’s Ozzfest meets Knotfest mega-metal festival in San Bernardino, CA featured dozens of metal bands, including Ozzy Osbourne, Slipknot, Marylin Manson, Deftones, and Prophets of Rage. 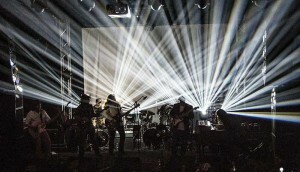 Four stages supported non-stop metal shredding with lighting and video provided by 4Wall Entertainment. 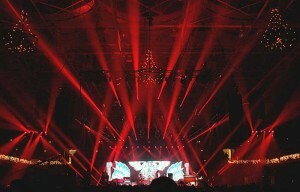 Brighter than even the pyro were the 30 Solaris Flares in the lighting rig. USA – New Year’s comes once a year, unless you’re Zach Scott, the lighting designer for the prolific and popular touring band 7th Heaven. 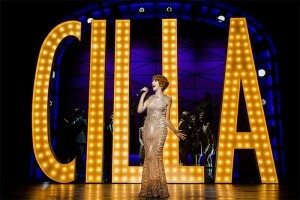 The Chicago-based LD will be working what amounts to three sold-out New Year’s shows on the final weekend of the year for his client. After that, it’s off to headline a rock cruise through the Caribbean in January and the start of a year that will see his client play at over 100 music festivals. Aside from bracing himself with ample amounts of caffeine, Scott has geared up for this busy schedule by expanding his ChamSys MagicQ MQ40 by adding extra wings to his console and PC system. USA – Dollywood in Pigeon Forge, Tennessee, is a theme park success story for several reasons. 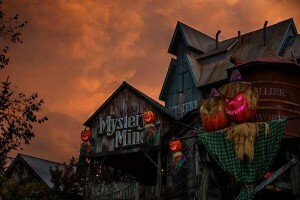 Besides having one of country music’s most iconic personalities as co-owner, the park is a well-chosen mix of traditional thrill rides spiced with crafts and culture, a successful recipe of entertainment that attracts nearly 3 million guests a year. 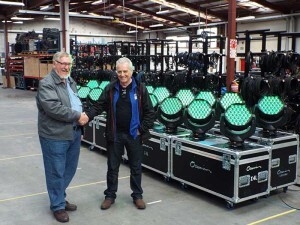 New Zealand – Earlier this summer Oceania, the biggest lighting rental company in New Zealand, invested in 24 x X4 L LED heads from GLP, which went out the same day they arrived to support the British & Irish Lions’ rugby tour down under. Over six weeks they were ever present on all regional games and the three All Blacks tests. 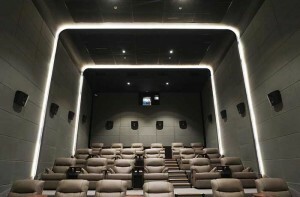 Indonesia – FLIXCinema is a new chain of Indonesian cinemas, designed to appeal to all audiences by offering a range of facilities aimed at different budgets. The Platinum Hall at the company’s first venue delivers the highest quality experience, which is why an Alcons CRMSC pro-ribbon audio system was chosen for it. Italy – The Club Music scene for years has had a strong impact on generations, influencing culture and entertainment in the music business. 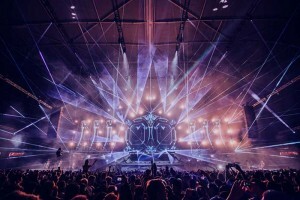 The major international EDM and Electro events are now even bigger and with increasingly important productions advancements. Germany – At the end of another successful year, Movecat is once again pursuing its idea of allowing social institutions in the Nufringen region to partake of its success. This year the chosen beneficiaries were the DRK Ortsgruppe Gärtringen, the GWW in Herrenberg and the Waldhaus in Hildrizhausen. Movecat of Nufringen is one of the leading manufacturers worldwide in the field of modular scalable stage kinetics. 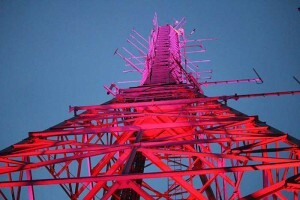 UK – Doughty Engineering has worked alongside property and construction consultants Ridge to provide a permanent lighting installation for the transmitter mast at Alexandra Palace. 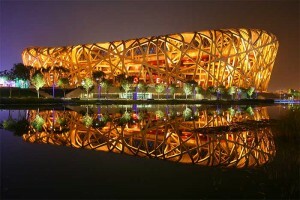 China – Taiwanese artist Huang Guolun recently brought his “No Impossible” show to China’s Beijing National Stadium, better known as the Bird’s Nest from the 2008 Summer Olympics’ opening ceremonies, and it was an expansive system comprised of Adamson’s E-Series and S-Series loudspeakers that ensured high-quality, even sound coverage for every seat. 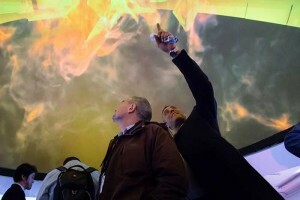 USA - Jon9, CEO of Holonyne is a creative technologist who uses advanced production techniques on large-scale display systems to connect people with stories and ideas. Having used a number of Green Hippo products over the years including previous Hippotizer V3 and V4 servers as well as Green Hippo’s Aviary Video Tools range, Jon9 has produced some of the most technically impressive, large scale digital environments. As a recognised authority on content creation for large-scale displays, Jon9 comes with decades of experience merging art and technology. 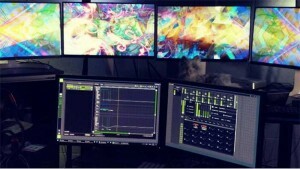 His inventory now includes a six DisplayPort output Hippotizer Taiga+, capable of driving 6x 4K/ 24x HD displays. Finland – Located in Finland’s capital city, the Helsinki City Theatre recently upgraded its Meyer Sound systems for full immersive audio capability, adding dozens of new loudspeakers along with D-Mitri digital audio platforms complete with Wild Tracks multichannel playback and Space Map 3-D panning. 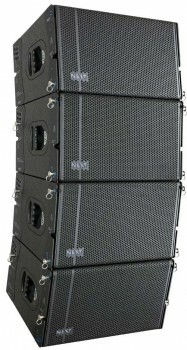 The system in the 947-seat Big Stage was expanded to a total of 124 Meyer Sound self-powered loudspeakers while an appropriately scaled-down system of almost 50 loudspeakers was deployed for the 347 seat Small Stage. Argentina – Tecnica Vidal is the largest rental and production company in the west of Argentina, and one of the top five in the country. Founded by Miguel Vidal in the 1980s, it is located in Rivadavia the centre north of Mendoza province, internationally renowned for its wine production. USA – On 4th April, 1966 a local bluegrass band stepped up to the makeshift stage at a small suburban Washington DC restaurant/bar called The Birchmere. Few took notice of it at the time, but their performance on that cold April evening marked the start of an American music hall legend, giving rise to a venue that would count Bob Dylan and Bill Clinton as audience members and play a pivotal role in the careers of stars like The Indigo Girls, Alison Krauss, Mary Chapin Carpenter, Lyle Lovett, Jerry Jeff Walker, Dave Matthews, Vince Gill, and k.d. Lang. Audinate, developer of the industry-leading Dante media networking technology, has announced the availability of Dante IP Core, a soft IP solution for audio manufacturers. 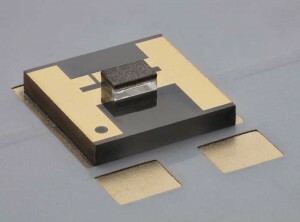 It allows OEMs working with FPGA-based designs to add Dante audio connectivity to AV products at a lower cost and with greater flexibility than ever before. 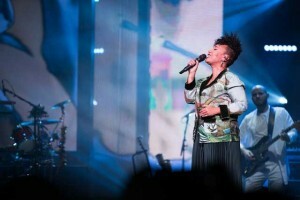 UK – Rental company Capital Sound recently extended its digital audio offering for Emeli Sandé’s Long Live The Angels UK arena tour, deploying Sennheiser’s new Digital 6000 Series microphones, along with a DiGiCo SD5 digital mixing console at the monitor position. UAE – Celebrated DJs, Acrobats, dancers, pyrotechnics, lasers and fireworks synchronised with music across an unending sea of white. 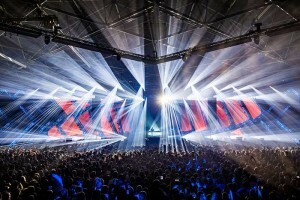 Organisers filled the atmosphere with stunning structures, unique elements and beautiful light shows which illuminated the crowds in a white oasis. The acts united people from all over the world to create a great vibe, while the crowd embraced the “Celebrate Life” theme. German rock/indie band Kraftklub recently undertook their third major tour with Martin Audio’s flagship MLA PA, provided by Complete Audio. UAE – Award winning event technical production specialist Maestra’s UEA based operation delivered rigging, staging, sound, lighting and video / AV for Blend Abu Dhabi, a special event to relaunch the YAS Marina Formula One circuit meeting space. USA – Fans around the country are getting into the Christmas spirit with LeAnn Rimes, as the multi-platinum, two-time Grammy Award-winning singer takes her Today is Christmas tour across the United States. Bandit Lites is proud to be lighting the acclaimed vocalist, whose powerhouse vocals and infectious spirit brings joy to not only the audience, but to those spending the holiday season supporting the tour. UK – Iconic rock band Status Quo have hit the road once again for their latest tour Plugged In – Live and Rockin’. Following huge demand from fans, the band decided earlier in the year to upgrade their planned Aquostic shows and plug back in for an all-electric UK tour. 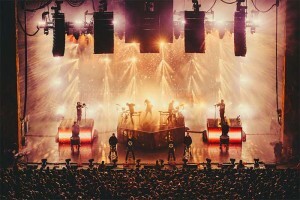 Having supported the band for several years, full technical service provider Hawthorn has once again supplied lighting equipment for the hugely-anticipated performances. 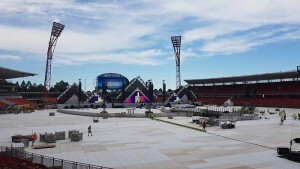 Austrailia – Mojo Barriers Australia recently undertook one of the country’s largest stadium field cover installations, with over 15,000m₂ being installed for Sensation at Spotless Stadium, Sydney Showground, November 2017. USA – Atlona’s “Launch & Learn” series of educational events, launched this October, continues to make an impact on partners around the world seeking to learn how the company’s latest products solve integration challenges, and align with today’s most important AV trends. 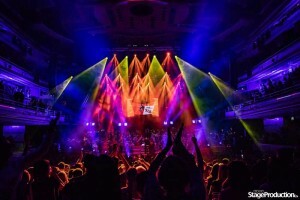 UK – On Friday, 24th November, England’s infamous club and house music brand, Miss Moneypenny’s, finally got its Night at the Proms with a lavish party celebration marking 25 years since the internationally recognised club brand began in Birmingham. The Netherlands – drs. Down! is part musical, part drama, part medical case study and the brainchild of Dutch TV presenter and chat show host Ivo Niehe, making his debut as a playwright. 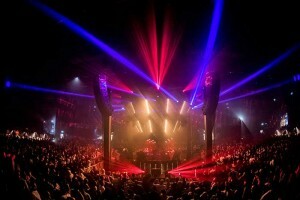 Israel – The cavernous Shlomo Arena in Tel Aviv was brought to life for the first time ever with the buzz of dance music, as the fantastic sounds and musical distinction of Tale of Us swirled around the environment in a limited-entry show presented by The Tripping, the country’s most discerning electronic music promoters. 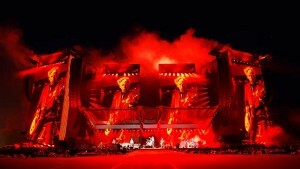 France – Paris’s newest arena space, the U Arena, threw open its doors in spectacular fashion this autumn when The Rolling Stones performed the final three European dates of their No Filter tour to sold-out audiences of 40,000 people each night. 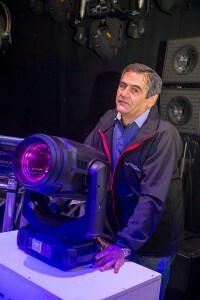 As an inaugural event, it doesn’t get much bigger, and Robert Juliat was proud to be part of it – in its home city – with eight RJ Lancelot 4K followspots playing a key role in the action on stage. UK – With over 15 years in business, Stage Sound Services (SSS) is a well-established rental company, providing technical solutions for sound and video projects for large-scale musical theatre productions and corporate events. 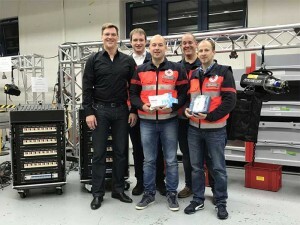 The company has recently invested in Sennheiser’s new Digital 6000 microphone system, citing it as the perfect solution in today’s crowded RF environment. UK – VER join 90s pop sensations, Steps, treading the boards at venues throughout the UK, mixing tracks from recent album ‘Tears on the Dancefloor’ with their string of crowd pleasing chart-conquering hits. Singapore – The Marina Bay Sands Singapore was already a stunning looking structure. 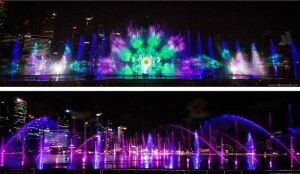 Steve Nield was the creative tasked with designing an outdoor laser, light, projection and water show with the visuals to complement the Aedas-designed S$8 billion property. 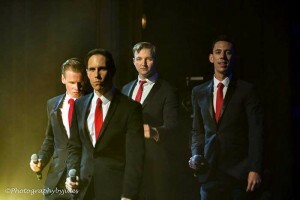 UK – Walk Like A Man takes audiences back in time to the freewheeling early '60s when the music of Rock and Roll Hall of Famers Frankie Valli and the Four Seasons ruled the airwaves. At a recent run of the Mark Halliday produced show at Blackpool’s historic Grand Theatre (opened in 1894), the cheerful nostalgic music was supported by a fast-moving upbeat lighting design created by Ollie Wilkinson of Arranpaul Ltd using a collection of Chauvet Professional fixtures. 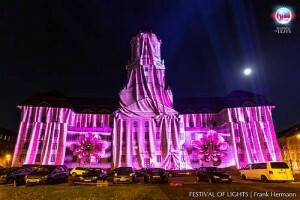 Germany Projection specialist Digital Projection recently wowed stakeholders and audiences alike at the 13thedition of the Berlin Festival of Lights, where a number of its laser projectors were installed to enable video-mapping displays at key sites in the city. 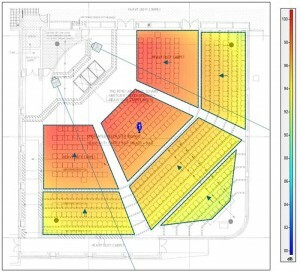 Martin Audio has announced the availability of GLL loudspeaker measurement data compatible with EASE Focus 3 for many of its point source loudspeakers. 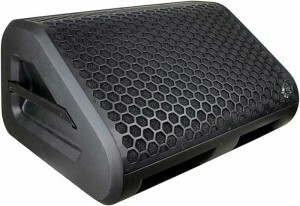 Germany – Community Professional Loudspeakers has announced the appointment of S.E.A. Vertrieb & Consulting GmbH as its distributor for Germany, effective 1st January, 2018. 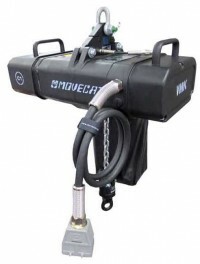 In its new VMK-S II chain hoists, Movecat is offering events equipment users four highly versatile BGV C1 chain hoists for professional applications. The fully dynamic chain hoists of the VMK-S family represent the leading industry standard and satisfy all requirements for the movement of loads over people in the course of scene changes. 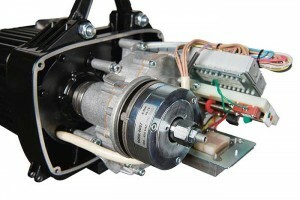 The series comprises four chain hoists: MINI 125, MIDI 250, MAXI 500, MEGA 1250 that make the movement of loads ranging from 125kg to 1,250kg possible. UK – PLASA Focus Glasgow, Scotland’s dedicated event for entertainment technology, has announced more seminars and workshops for the upcoming show at the Scottish Event Campus (SEC) on 17th and 18th January 2018. It is free to register for the show, which brings international brands and expertise to regional professionals working in lighting, sound, AV, rigging and staging sectors. It’s Panto Season for White Light – Oh Yes it is! 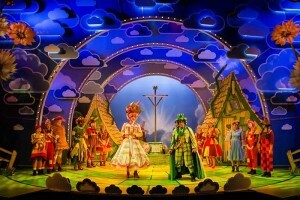 UK – As always at this time of year, the Pantomime season is well and truly underway with dames, beanstalks and magic lamps taking centre stage up and down the country. As one of the leading suppliers to West End and UK touring theatre, White Light is supplying the lighting equipment to a range of pantomimes all across the UK. 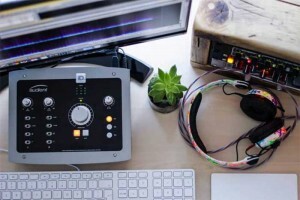 UK – Highly sought-after mastering engineer, Katie Tavini, was the lucky winner of a USB audio interface, iD22 in Audient's giveaway last month. As it happened, the arrival of her prize was very timely; she had to record some audio for the Working Class Audio podcast and her usual interface had been playing up. 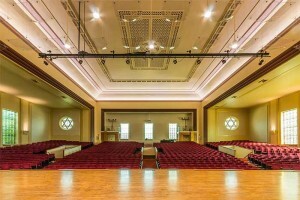 USA –Washington University in St. Louis' 560 Music Center was built in 1930 as the Sha'are Emeth Temple. Almost 50 years later, the Jewish congregation moved to a new facility. The beautiful old Art Deco building then became the home of the St. Louis Conservatory and School for the Arts, then the St. Louis Symphony Community Music School, which eventually joined with Webster University. 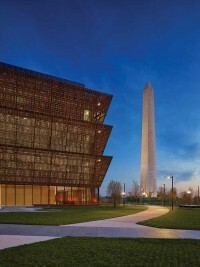 Washington University purchased the 45,000-square-foot facility in 2005, renovated it, and reopened it in 2007 as the new home of the school's applied music programme. USA – It’s a streak that would do any sports dynasty proud. 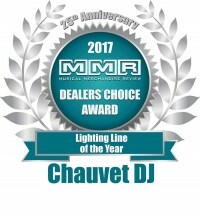 For the fifth consecutive year, Chauvet DJ has been honoured with the MMR Dealers’ Choice Award for Lighting Line of the Year. Presented by MMR magazine, the award is based on voting by music dealers across the USA. USA – John Mark McMillan is an artist and platinum-selling songwriter that bends genres and defies traditional musical categorisation. When McMillan recently hit the road in support of his latest album, Mercury & Lightning, his long-time front of house engineer/tour manager (and brother) Chris McMillan relied on a selection of DPA Microphones to provide crystal clear, natural sound for the three-month tour. 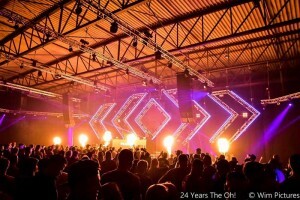 The Netherlands – “One of the best shows our team has ever done,” declared production designer and show director Gabe Fraboni after two recent incendiary performances by hugely popular Dutch DJ and music producer Martin Garrix at Amsterdam’s RAI. Both shows were bathed in awesome lighting with nearly 300 Robe moving lights on the rig, including 50 brand new MegaPointes. Curaçao – For Jim Lo-A-Njoe, the inspiration for putting together the Furia Latina lighting rig began with the first word in the 4th November concert’s name – “Furia!” Looking to reflect the fury of reggaetón music’s powerful and unsettling emotions in light, he wanted to create looks that would blow through the stage with the ferocity of a sudden storm. 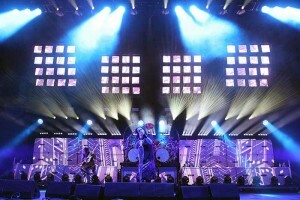 Lo-A-Njoe of Massive Productions got the intensity he was seeking, and then some, by building his rig around 78 high-output Rogue moving fixtures from Chauvet Professional. 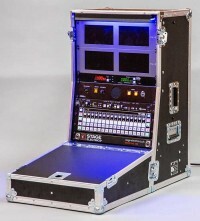 UK – Doughty dealers Chinnick Theatre Services experienced a ‘light bulb moment’ when they first saw Doughty’s new Studio Rail Articulated Carriage at PLASA, London, realising it was the perfect piece of kit for a job they were working on at Richard Hewish College in Taunton. 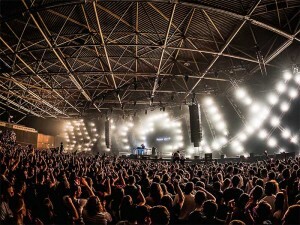 The Netherlands – Dutch EDM superstar Martin Garrix rocked a pair of packed back-to-back shows at RAI Amsterdam as part of the city’s famous Amsterdam Dance Event. 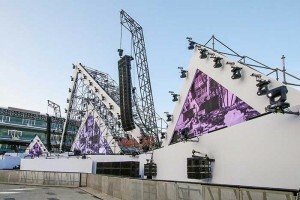 The unique system deployed in the venue was designed by BMP Sound Services and built around Adamson Systems Engineering’s heralded E-Series loudspeakers. “An EDM show like this needs a lot of low end, and whether it’s the E15 or compact S10, Adamson products boast great low-end performance and couple perfectly with the subs on the ground for an even, pumping bass throughout the whole venue,” offers BMP’s Bas Rijsdijk. USA – The premier anti-ageing company Nu Skin has grown from humble beginnings in Provo in 1984, to a NYSE listed enterprise that distributes its products in 54 markets worldwide through a network of approximately 1.2 million independent distributors. Every two years, Nu Skin holds a four-day experience that combines philanthropy, business sessions, recognition and entertainment in a dynamic mix. Unveiled earlier this year at Prolight + Sound 2017, Clair Brothers introduced a bold new addition to its highly successful line of One Series 12- and 15-inch coaxial stage monitors: a self-powered version of the 1.5AM monitor called the 1.5AM+. On the heels of last year’s introduction of the powered monitor 1AM+, the amplified sister of the 1AM monitor, Clair Brothers continues to propel the pro audio industry forward. USA – The Themed Entertainment Association (TEA) recently announced the 2018 Thea Award winners. Even with the diversity of winners including theme parks, museums, visitor centres, and spectaculars, a majority of the winners had one thing in common: control products from ETC. Overall, ETC had a hand in nine of the Thea Award-winning projects. Elation Professional is pleased to introduce the KL Fresnel series, a new line of warm-white LED Fresnel lights that provides the attractive warmth of tungsten halogen with all the benefits of LED. Available in 50W, 150W and 350W models, a 3000K fixed colour temperature and high colour rendering capacity ideally mimic the warm glow output of traditional Tungsten halogen lights while surpassing them in output and efficiency. 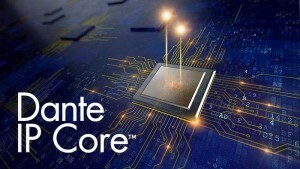 Building on the unmitigated success of Apex’s flagship Intelli-X2 series, the company has introduced the first model of the next-generation Intelli-X3 series, the Intelli-X3 648 system management processor with optional Dante networking capacity for full network redundancy. UK – Billed as the UK’s biggest indoor winter music festival, taking place at Butlins’ large holiday camp in Skegness, TWSTD Festival runs over two back-to-back weekends. USA – When the multi-talented Nick Cannon announced that he was taking his hit MTV programme “Wild N Out” on the road, some critics wondered how well the fast-clipped, hip-hop improv comedy show would translate into a live tour format. They needn’t have worried. 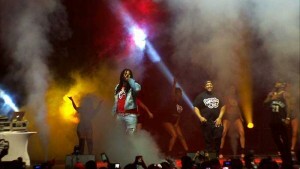 The hugely successful show (one of its episodes was the most watched in MTV2 history) is proving to be equally compelling on the road. USA – One of the most cherished aspects of the holiday season is the music that connects precious memories with the present, and no one knows that better than Dave Koz who has returned to the stage for the Dave Koz 20th Anniversary Christmas Tour with Special Guests David Benoit, Rick Braun, Peter White and introducing Selina Albright. 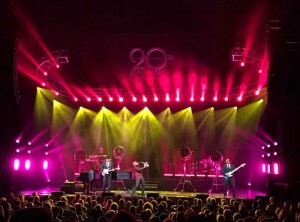 Chris Lisle Lighting Design relied on Bandit Lites once again for the lighting package to illuminate the acclaimed saxophonist and nine-time Grammy nominee and his friends who reunited as members of the original 1997 cast. 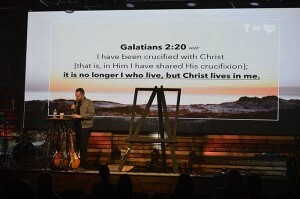 USA – Located in Destin, Florida, Shoreline Church has always tried to find creative and unique ways to share their message while changing the perception of a typical church. As their congregation has continued to grow, the church recently had the opportunity to continue their ministry vision with the renovation an old nightclub into a modern worship facility. 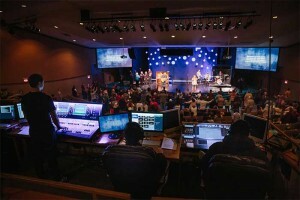 Knowing they wanted to install the technical elements that would allow them to further the creativity of their worship services, they found a key component to their new design in a FLEXLite II 3.9mm LED video system from PixelFLEX. UK – Southbank Centre is a world-famous, multi-venue arts centre based in Central London. It’s a place where over 6.2 million people a year experience world-class art and culture that stimulates, inspires, educates and amazes. 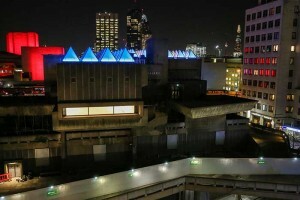 Southbank Centre’s Hayward Gallery recently commissioned renowned artist David Batchelor to create Sixty Minute Spectrum, an art installation which transforms the Hayward Gallery roof into a chromatic clock using dramatic colour. Having worked on numerous projects at Southbank Centre, White Light was approached to provide the technical solutions to make David’s design a reality. USA – The Denver Center for the Performing Arts (DCPA) is staging an inventive and reimagined version of Macbeth that features an all-male cast, EDM style music and modern design elements. 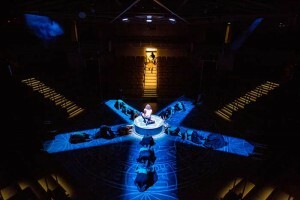 Lighting the contemporary version of Shakespeare’s classic tragedy is Alex Jainchill, who uses LED lighting from Elation Professional to meet lighting challenges and create magical moments in the show, including special black light UV effects. Sweden – As part of an on-going light installation project, The Royal Court of Sweden added 100 SGM P-2 LED wash lights to Djurgården’s park entrance. In order to enhance the number of visitors during dark period of the year, the light installation will serve as a warm welcome, making visitors feel safe all year round. China – Zhi Yin Hao is an outstanding multi-dimensional live theatrical performance, created by the famous director and artist Mr. Fan Yue. The drift-style experience show is held on a steam ship that cruises the Yangtze River from its base in Wuhan City, China. 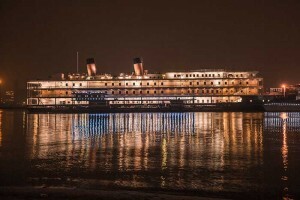 A 1920s' styled steam ship and two piers have been built to recreate Wuhan during an era when it was China's second largest city after Shanghai. Wuhan was often called ‘Eastern Chicago,’ due to its cosmopolitan atmosphere. Croatia – Croatian singer, composer, musician and superstar Gibonni is one of the most popular and influential artists in Croatia and across the whole region, known for blending contemporary rock and pop with Dalmatian folk songs for a unique sound that’s gained him a huge following. 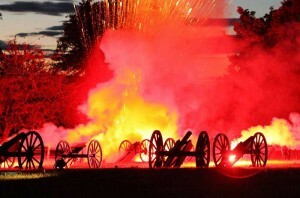 UK - Midas will supply full site power and distro to JSL Productions’ Battle Proms picnic concerts across five sites next summer. USA – Great deals on televisions and refrigerators? That’s nice, but for progressive music fans in the Boston area, the really big news on Black Friday was the album release party for the eponymous LP by Matthew Stubbs and the Antiguas. Lending some eye-popping sizzle to the sold-out event at the iconic Sinclair club in the heart of Harvard Square was a fast-moving light show by freelance visual artist and lighting designer Vin Pugliese that was supercharged by a Chauvet DJ Intimidator floor package. Optoma has just launched a trio of corporate projectors designed for brighter, higher resolution presentations across boardrooms, meeting rooms and offices. In the year of its 60th anniversary, Swiss electric chain hoist manufacturer GIS AG has launched LP1000, the latest model in its new LP series of electric chain hoists developed and adapted to the needs of the entertainment industry. 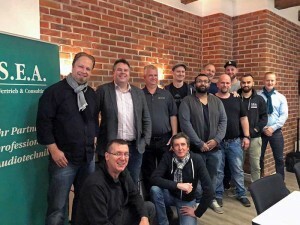 Europe – Yamaha has a strong focus on helping to train audio professionals of the future, whether via the company’s YCATS training programme or working with other companies and education providers. 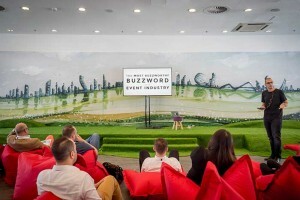 A new initiative with global education provider SAE Creative Media Institute has seen the company’s state-of-the-art Nuage systems installed at SAE campuses in London, Milan, Berlin, Hamburg, Munich and Hannover, with more to follow. 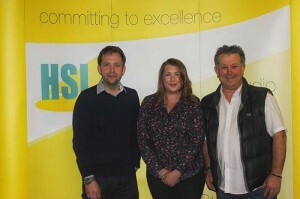 UK – HSL continues to strengthen its dedicated theatre and performing arts division with the appointment of Ben Payne as key account manager (theatre) and Jo Sunners as business development manager (theatre). 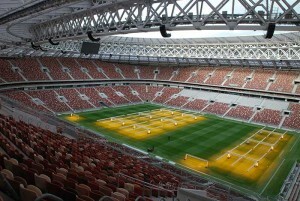 Russia – When Moscow’s original Luzhniki Stadium was demolished in 2013 to give way for the construction of a new stadium, it was with the 2018 FIFA World Cup in mind. 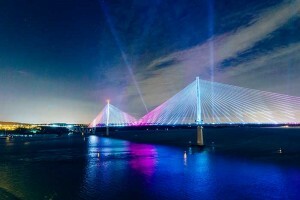 UK – Two Avolites Quartz consoles running the latest Titan 10.1 software were used by Scottish lighting, sound and AV specialist Black Light to control the 'surprise' lighting spectacular at the ceremonial handover of the new £1.35 billion Queensferry Crossing, the UK's tallest bridge. 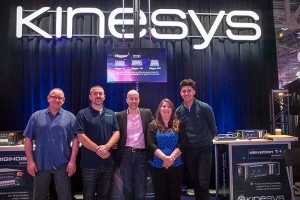 USA – UK automation and motion control manufacturer Kinesys enjoyed a busy and successful LDI (Live Design International) exposition in Las Vegas. It was the first time that the leading brand has hosted its own booth at the show, reflecting a growth in business in North and South America and Canada over the last few years. Denmark – Aalborg Theatre is in the heart of Denmark’s attractive fourth largest city’s old town area. 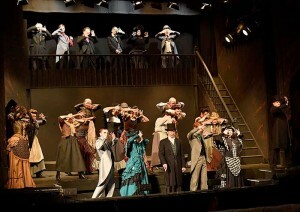 Established in 1878, it has a rich and colourful history and is known as a ‘heavyweight’ on the Danish theatre scene. This long standing critical fortitude was further advanced with the arrival of Hans Henriksen as artistic director in 2015, who had several key objectives including one to make the production programme more dynamic, cutting-edge and accessible. 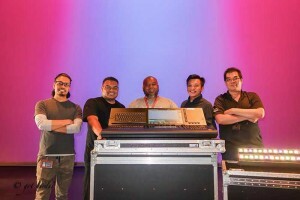 City Theatrical recently demonstrated its innovative technology by presenting the first live broadcast of nine universes of wireless DMX using a single transmitter. This demonstration was presented to a live audience of more than 100 lighting professionals attending the Live Design International (LDI) tradeshow in Las Vegas, Nevada on 18th November, 2017. 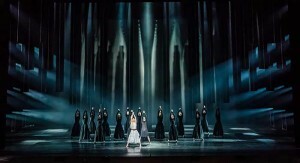 Finland – Land of Kalevala is currently being staged at the Finnish National Opera, with set, projection and lighting designed by Mikki Kunttu. UK – On the 10th of January 2018 Stage Electrics is going to be hosting what promises to be a highly interesting theatre and broadcast equipment Showcase. 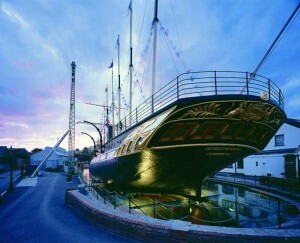 Taking place at the Iconic SS Great Britain in Bristol, the company will be joined by a host of suppliers who will be exhibiting and demonstrating some of their latest products. South Africa – CCPP is a busy and fast growing technical production and rental company based in the Maitland suburb of Cape Town, headed by Clint Cawood, the CC of the name. 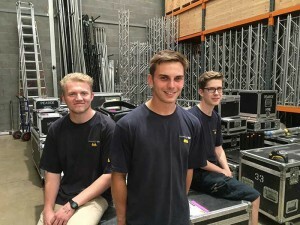 The company recently made a substantial investment in Robe moving lights for its ongoing production work and for general rental stock. 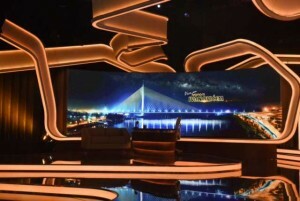 Serbia – With its rich palette of film, entertainment, sports and information programmes corresponding to the eclectic interests of Serbian TV audiences, Prva TV has enjoyed its status of the nation’s most viewed commercial television channel for over a decade. USA – How many gigs can a 19-piece rockabilly band do in 48 days? This year, the Brian Setzer Orchestra’s 14th Annual Christmas Rocks Tour will play an impressive 35 dates from 10th November 28th December. Opening in Minneapolis and closing in Bellingham, WA, the US tour will be followed by concerts in Japan early next year. 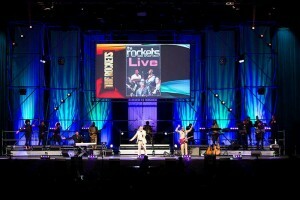 Highlighting the set is a 12-foot high marquee featuring 172 IMS Mk2 RGBW lamps. UK – Sennheiser has announced that it will be heading to The Warehouse Sound Services in Glasgow on Wednesday 6th December for a seminar to explain the forthcoming changes to the UHF RF spectrum. ETC Eos Ti scary good on Criss Angel’s Mindfreak Live! USA – Criss Angel’s Mindfreak Live! at the Luxor Resort & Casino in Las Vegas upends people’s views of magic and awes spectators with a goth-horror vibe mixed with rock & roll spectacle. The production has the largest number of moving lights on the Strip, and combines movers, lasers, video and more into one over-the-top vision. The large number of fixtures and media demands would tax the average console, but not ETC’s Eos Ti. 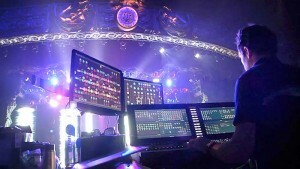 ETC’s latest video, available at https://youtu.be/Yyck3JyRDVQ, follows lighting programmer Josh Selander and gives viewers a behind-the-scenes look at how he pulled together one of the flashiest, most technically demanding shows on the Strip and demonstrates why the Eos Ti, in the hands of a master programmer, delivers the magic. Europe - Lighting designer James O'Neill and video designer Mark Cunniffe combined their extensive skills with the latest technology from Avolites to provide the biggest and best yet production design for the current tour by Irish pop-rock band, Picture This. 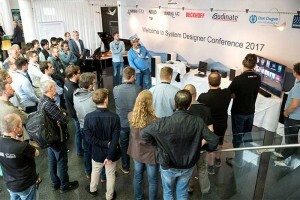 Austria – In late September, 145 audio professionals from throughout Europe headed for the Austrian Alps, as Yamaha hosted its sixth annual System Designers Conference in the stunning location of the Scalaria Conference Centre, St Wolfgang. The Netherlands – Integrated Systems Europe 2018 will see the premier of a range of new show initiatives designed to make the 15th edition of the world’s largest AV and systems integration show the most compelling so far. 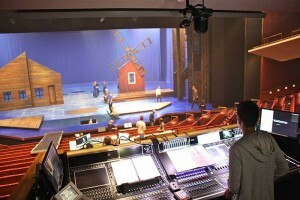 UK – Stage Electrics have supplied a custom-built stage management desk to The Grand Theatre, Wolverhampton. Located in the heart of the Midlands, Wolverhampton’s oldest running theatre, The Grand, is an established theatre presenting a wide range of major touring productions every year. 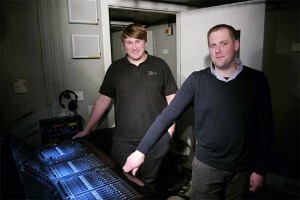 After their stage management desk of 20 years was no longer suitable for their needs, Ray Tizzard of The Grand turned to industry experts Stage Electrics for a custom designed replacement. USA – With high quality audio systems a feature of many homes and cars, the pressure has never been greater for sound rental companies to match that quality in the live environment. Delivering it can be a challenge, especially in small to medium-sized venues, but the Alcons LR7 micro line array makes it totally achievable. 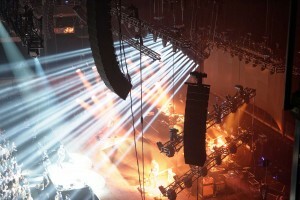 StageTech, Inc is one of the latest companies to enjoy the system’s benefits.